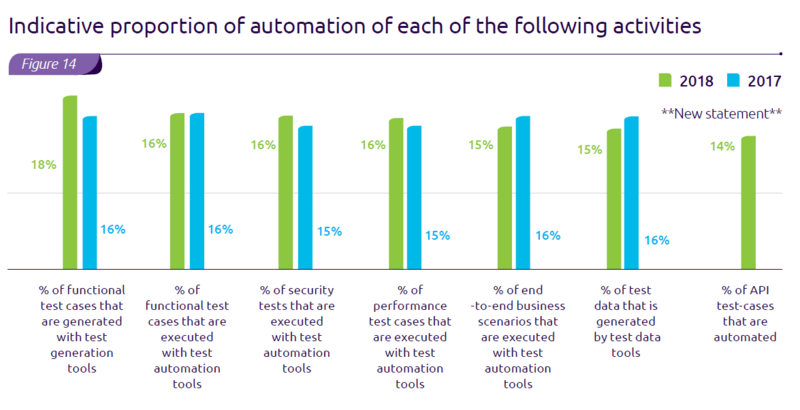 Test automation tools are not used very often. Only 16 percent of performance test cases are executed with test automation tools, and security tests are being completed at the same frequency according to the World Quality Report (WQR) 2018-2019, which surveyed 1,700 IT decision makers (ITDMs) at companies with more than a thousand employees. Although the QA and testing job roles have been adapting to agile development practices, remember that even if one test is automated, the majority of tests are still done manually.